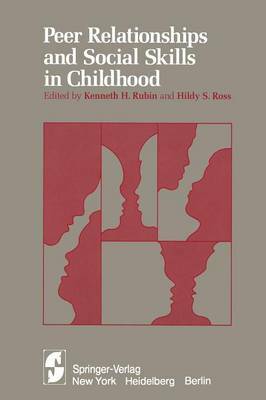 Amy Rubin, the seven-year-old daughter of one of this volume's editors, was discussing with her close friend Kristin,. her teacher's practice of distributing stickers to her classmates for completing their seat work. As the conversation continued, Joshua, Amy's two-year-old brother (al- though Amy would argue that he more often resembles an albatross around her neck) sauntered up to the older children. He flashed a broad smile, hugged his sister, and then grabbed her book of stickers. Corey Ross, the nine-year-old son of the other editor was trying to plan a tobogganing party with his friend Claire. The problem facing Corey and Claire was that there were too few toboggans to go around for their grade four classmates. Jordan, Corey's younger brother had agreed to lend his toboggan. However, Harriet, Claire's younger sister and Jordan's close friend had resisted all persuasive attempts to borrow her toboggan. The older children decided that the best strategy was to use Jordan's friendship with Harriet and his good example of sibling generosity in presenting thejr case to Harriet. Both of these anecdotes exemplify what this volume on peer relation- ships and social skills is about. Children have friends with whom they discuss issues of perceived social significance. During the early elemen- tary school years, rather sophisticated conversations and debates con- cerning topics of reward distribution, altruism, person perception, social status, sibling relations, and cooperation can be overheard (especially by eavesdropping parents who have professional interests in such matters).